Charles Atlas, Jake and Dinos Chapman, Jeremy Deller, Kim Gordon, Jonathan Horowitz, Spike Jonze, Richard Kern, Harmony Korine, Mark Leckey, Anna Molska, Deimantas Narkevičius, Anri Sala, Wilhelm Sasnal, Anna Zaradny. 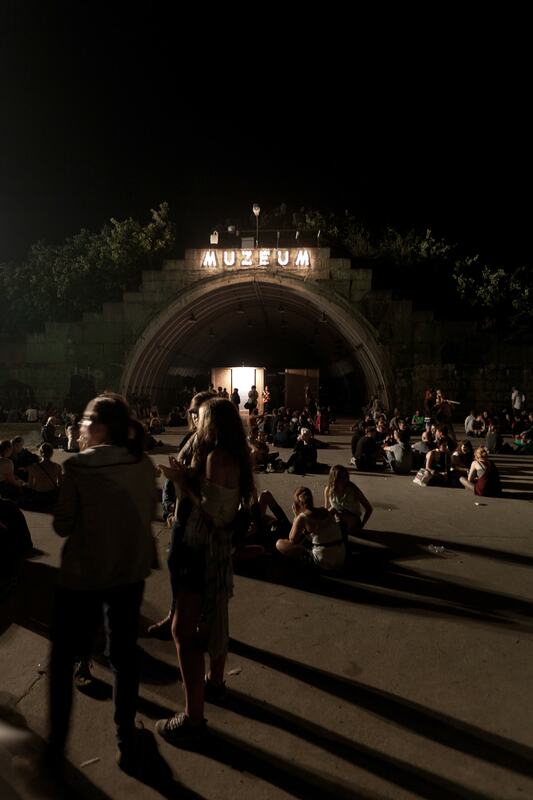 Project description: The multimedia exhibition presented by the Museum of Modern Art in Warsaw at this year’s edition of the Open’er Festival observes the liaisons between music and visual arts with a focus on popular music as seen through the prism of video art. 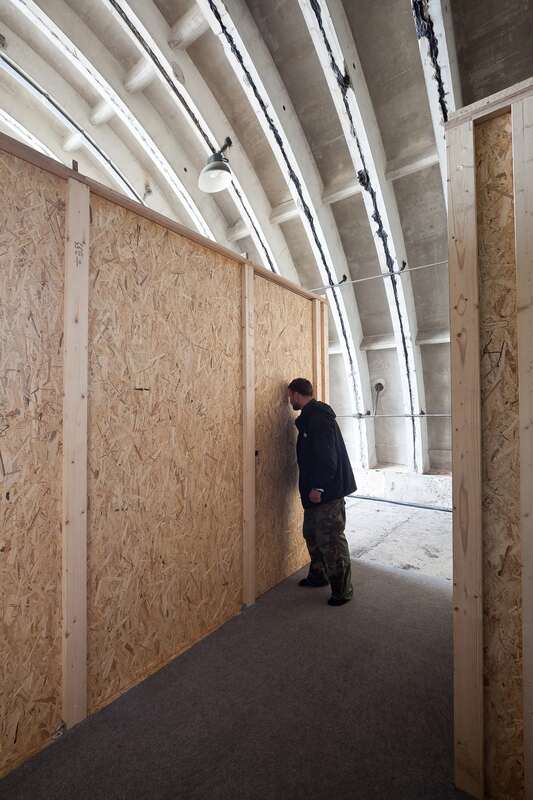 Adapted for an exhibition space, the bunker at the Gdynia Airfield will provide the festival crowd with the opportunity to explore music alongside its visual layer and to grasp varied references and aesthetic potential stemming from the marriage of music and moving image. 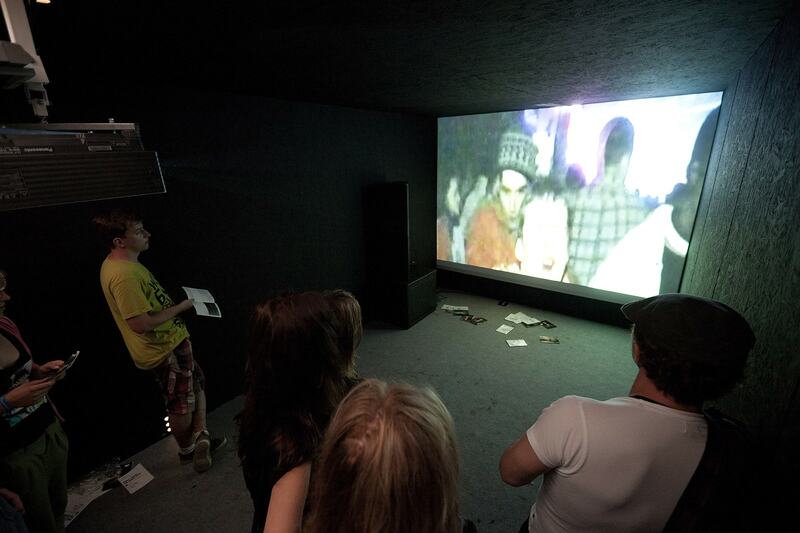 Project facts: The exhibition features some of the most engaging works and video installations from the last decade, accompanied by an array of music videos made by renowned visual artists for their music industry peers. The unique music videos by Kim Gordon, Harmony Korine or Richard Kern for Sonic Youth, Charles Atlas for Antony and the Johnsons, Jeremy Deller for Manic Street Preachers and the Chapman Brothers for PJ Harvey bear testimony to the rapprochement between rock music and the artistic milieus as well as demonstrate their common ground, spanning from the early eighties to the present day. 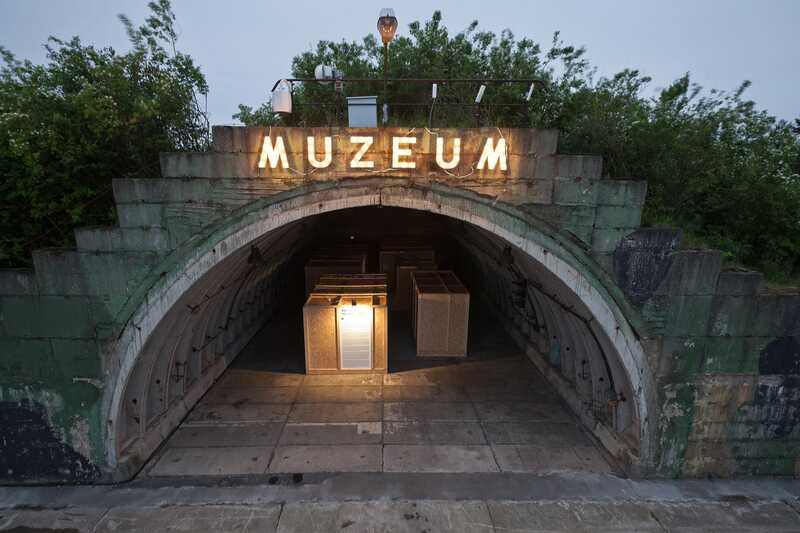 The visual artists participating in the exhibition enter into dialogue with pop music, regarded as a form of communication and a phenomenon of mass culture. The rise and fall of the legend of MTV at the turn of the eighties and the nineties, the emergence of clubbing as a phenomenon, and the cult of celebrity musicians become the subject of reflection and the point of departure for putting artistic strategies into practice. 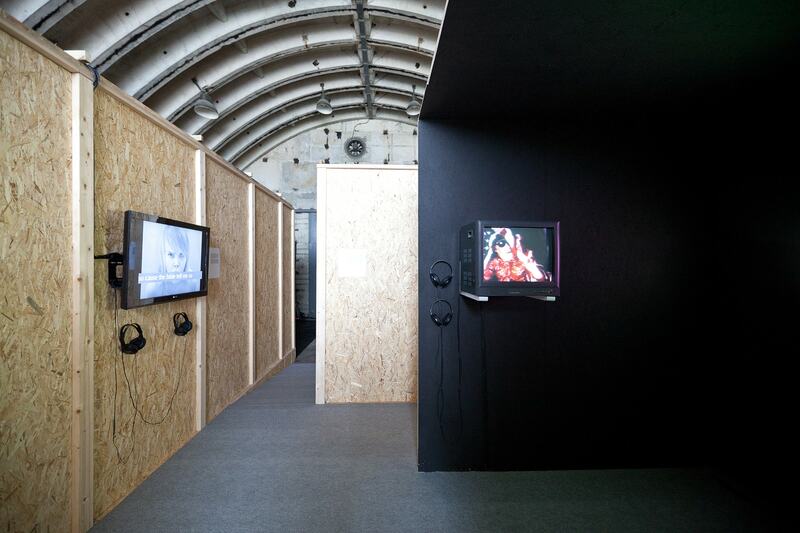 The exhibition makes manifest the games that the artists play with the documentary form of youth subcultural representation (Mark Leckey, Rineke Dijkstra), and the way how they manipulate video material according to the soundtrack (Anri Sala, Jonathan Horowitz). 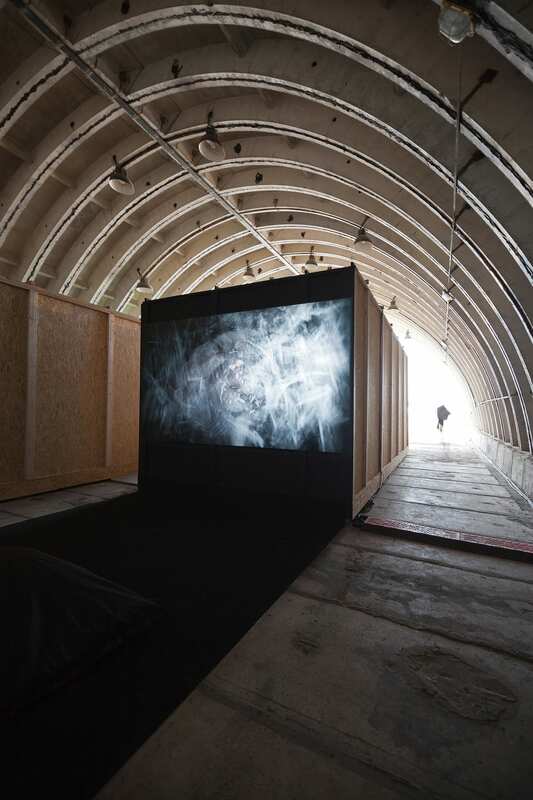 A special place in the frame of the show is reserved for interventions into the mainstream music video format (Deimantas Narkevičius, Wilhelm Sasnal, Anna Molska, Anna Zaradny), where the artists generate new meanings by challenging the music video cliché. Music video as a film form with a soundtrack appears here not so much as an attempt at visualising music, but rather as a Trojan horse, with which the artists can smuggle their own values, references and personal poetics.